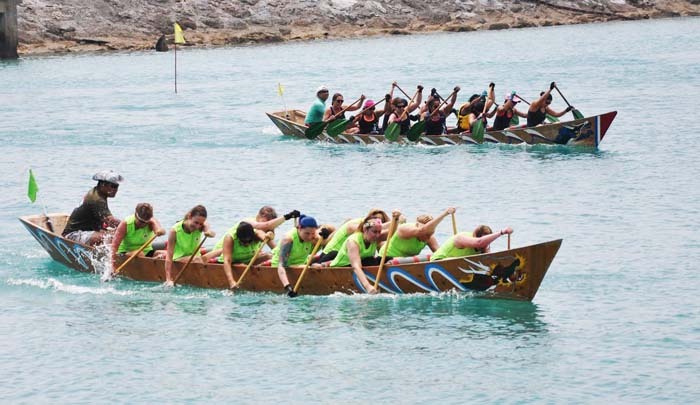 Dragon boat races are a tradition at White Beach festivals. White Beach Festivals have always been fun with a special Navy touch of dragon boat races and other watery fun, and this year’s event promises to be better than ever. No one leaves the festival hungry. Organizers welcome everyone to the two-day event this Saturday and Sunday that runs from noon to 20:00 on both days. The White Beach Festival is open to everyone, island-wide, both SOFA status personnel and local nationals. While the public is invited, security officials advise visitors not to bring backpacks, large handbags or diaper bags. Those items will draw scrutiny from organizers and security personnel. Visitors are asked to bring photo identification such as a passport or driver’s license for entry. Bags will be subject to search, and ice chests or beverage coolers, pets, skateboards and heeleys will not be allowed at the festival. 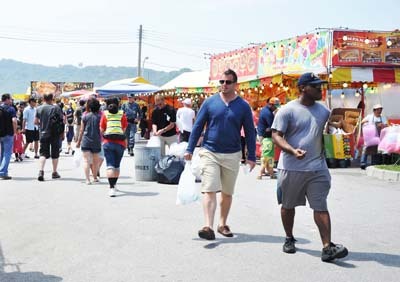 Entertainment will be nearly non-stop through the weekend as the festival planners want visitors to have a good time. 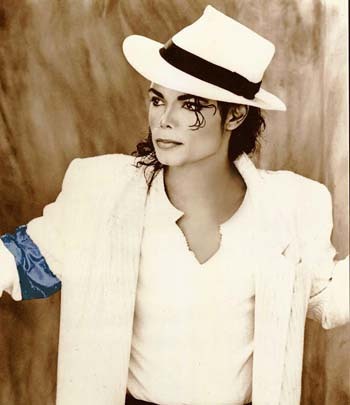 e’Cassanova pays a tribute to Michael Jackson on Sunday. Navy MWR assures everyone that there’s plenty to do during the festival, including the traditional dragon boat races. Foods cover the world. There are vendor booths offering a variety of foods from countries throughout Asia, as well as American and South American entrees. Entertainers include T-Da hip-hop dancers, Human Beat Box T.K. Cherry Blossom Cheerleaders, belly dance show and an Earth, Wind and Fire Tribute Band on Saturday. Salsa Band Kachimba, dancers from Dance Studio 123, Juggler Tamanchu, Heshikiya Eisa and Michael Jackson tribute performer e’Cassanova will be on stage on Sunday. In short, the Navy MWR promises fun filled days for the whole family!